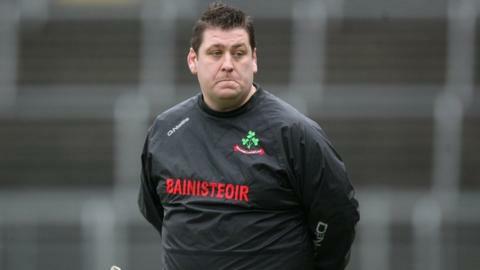 The Antrim County Board have ratified the appointment of PJ O'Mullan as the county's new senior hurling manager. The former Loughgiel boss takes over from Kevin Ryan who stepped down in August following a disappointing campaign for the Saffrons. The 41-year-old won an All-Ireland title when in charge of Loughgiel, as well as four Antrim and Ulster titles. Antrim will compete in Division 2A of the National Hurling League and the Christy Ring Cup in 2016. Among O'Mullan's objectives will be to secure promotion to Division 1B and translate the high standard of club hurling in the county to the inter-county stage. Ryan stepped down from his position after the end of his county's involvement in the All-Ireland Under-21 Championship.